Happy 76th Birthday to Olufela Olusegun Oludotun Ransome-Kuti, aka FELA! 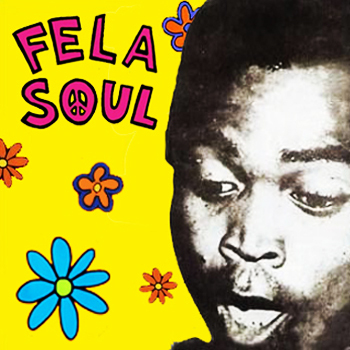 What better way to celebrate than by hyping Amerigo Gazaway’s killer mash-up of Fela and De La Soul, FELA SOUL. Seriously – what’s not to love?! Listen to selected tracks and check out the teaser video below, and link to the Amerigo Gazaway’s page HERE to download the album and check out his other projects.